Everyone needs the occasional break from their everyday routine, whether they work full-time or raise young children. While this may be accepted wisdom, however, the challenge is to spend your free time wisely and engage in activities that provide genuine rest and relaxation. With this in mind, the Chic Retreats range of destinations provides an ideal outlet for those who love nothing more than to relax in a luxurious spa resort, where they can access a host of restorative treatments in a tranquil environment. The Vanderbilt Grace in Rhode Island is one of the most prominent Chic Retreats resorts, and it is equipped with some of the finest amenities and luxury facilities in the world. 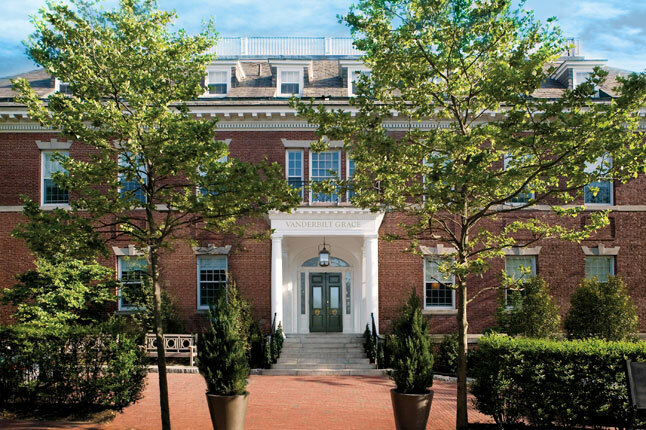 A quintessential Newport mansion with a genuine sense of heritage and individual style, it has been recently restored with 33 rooms and suites, a luxurious spa and a fitness centre for those who enjoy regular physical activity. There is also an indoor and outdoor pool, and the location has been specifically redesigned to provide a sanctuary for young professionals or families who are keen to escape the rigours of everyday life. Sharing a boundary with New York’s Long Island, it is particularly popular among neighbouring residents who are looking for an entirely different way of life. In true Chic Retreats style, the Vanderbilt Grace is also a haven for food enthusiasts and those with a keen sense of culinary adventure. In particular, there is a new fine dining outlet that has been created by renowned New England chef Jonathan Cartwright, who has a reputation for combining menus that feature both classic flavour combinations and more adventurous ideas from all around the world. This has only served to enhance the global reputation of the Vanderbilt Grace, which was already a magnet for visitors from throughout the world. There is also a huge range of activities to choose from at the Vanderbilt Grace, thanks primarily to its waterfront location and close proximity to Boston, Massachusetts and the bustling metropolis that is New York. From high octane water sports to long evening walks on the beach, the Vanderbilt Grace is a diverse location that has genuine appeal for people of all ages. While your choice of resort will depend largely on your budget and existing location, the Vanderbilt Grace Chic resort is well worth a visit. If your idea of the perfect escape includes endless pampering, high quality cuisine and the occasional dash of adventure, then get online and check out the Vanderbilt Grace location at your earliest convenience.